In the UK, like many developed countries1, the productivity growth has stalled since the financial crisis in 2008. The Office of National Statistics reported an increase of just 2.5 per cent during the five years to the third quarter of 2017. While the government recently committed £23 billion of investment into a new National Productivity Investment Fund, there is still an urgent need for innovation. 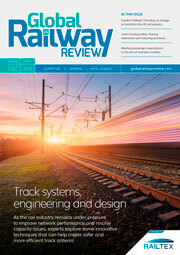 Chris Grayling, Secretary of State for Transport, along with a host of businesses and regional bodies2, argue that improving rail connectivity could help drive productivity in the UK. There is a compelling argument that UK rail networks could be significantly impacted if a different type of connectivity was used: High-speed wireless communications. It is no secret that the UK’s railways have a mobile not-spot problem. While 71 per cent3 of the country have access to high-speed 4G, it’s not uncommon for services to drop back to 3G and 2G technologies when travelling by train; negatively effecting data rates and call quality. There are numerous reasons for this. 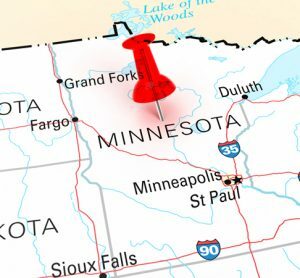 To begin with, Mobile Network Operator (MNO) strategy typically focuses on covering high-density population areas. Moreover, the UK rail network has some unique features, including an abundance of tunnels and deep cuttings that block transmissions from reaching tracks. It’s also worth noting that the design of train carriages themselves create something of a ‘Faraday cage’ effect, a term used for structures that block external electronic signal. Finally, health and safety considerations, as well as potential disruption to timetables, means gaining trackside access to install the infrastructure needed for service improvements can be difficult. 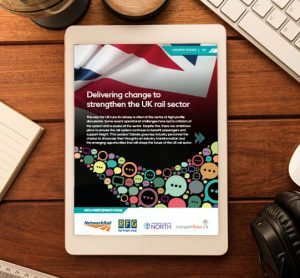 An assessment of UK rail usage statistics suggested addressing these issues could help tackle the productivity problem. With 1.7 billion annual train journeys4 and an average journey of 76 minutes5, 2 billion potential working hours go unaccounted for each year. With GDP equating to approximately £31 per hour, this sees the UK lose a potential £61 billion. Even a conservative reappraisal of these figures, factoring in that 10 per cent of train journeys are focused purely on business4, sees an annual potential loss of £54.9 billion6. By providing ubiquitous high-speed connectivity and reliable call services, passengers would be able to be constructive during their journey, enabling them to be ahead and prepared when they get to their destination. It’s not unrealistic to imagine carriages full of people working, wanting to begin the day’s events: Almost Regus on rails for the modern commuter. For entrepreneurs and SMEs, for whom every customer or prospect contact can impact the bottom line, it would minimise the chance of dropping a call again or missing any new business messages. At a macro level, this development has the potential to address a range of societal issues. For example, allowing people to work effectively while travelling would make longer commutes an acceptable option, giving a greater choice of where to live and work. This in turn could therefore be part of a solution to the nationwide housing crisis. After making the case for connectivity, the next step is to outline a strategy for best-practice deployment. Rolling out this kind of infrastructure will require collaboration between politicians, Network Rail, MNOs and local communities. Technically, it involves centralisation of MNO equipment and the building of base station hotels (fixed points in a network where fibre optic cabling and power supply can be routed with mobile signal transmitted via antenna) to minimise the amount of hardware at trackside. Consideration also needs to be given to the issue of backhaul, the connection between base stations and the core network that ensures there is enough capacity to cope with periods of peak demand for mobile services. Fibre needs to be in place and there needs to be enough radio frequency, referred to as spectrum in the mobile sector, available to cope with the increasing data speeds required. Ofcom and the Government are ultimately responsible for this, holding regular auctions to grant licenses for bandwidth usage. 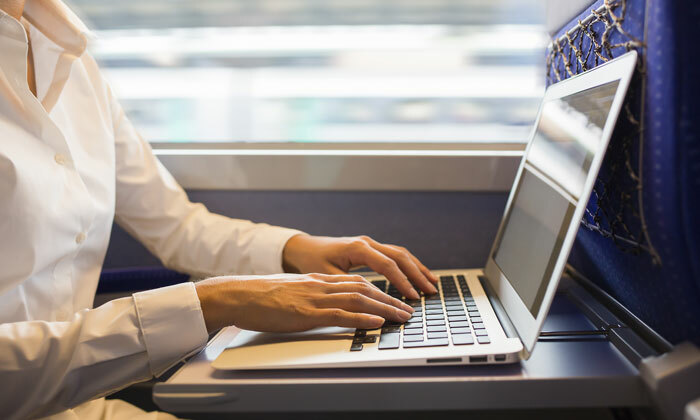 The Government has recently published a consultation7 exploring how to improve mobile connectivity for rail passengers on mainline routes across the UK by 2025; services on trains will soon be required to provide a speed of at least one Gigabit per second (Gbps). Failing to meet these new minimum standards could put customer satisfaction at stake. For most people, connectivity has moved from a welcome bonus to an expected service. With 5G services imminent, fixing the problem now ensures the network is robust and ready for emerging technologies, while also helping rail companies provide a better service to passengers.